InterBering is a Limited Liability Company registered in the State of Alaska. Our expertise includes the integration of information and management processes with particular focus on the organization, financing and construction of an interhemispheric Bering Strait tunnel and joining the railways of two continents, North America and Asia. In recent years engineers from both the United States and Russia have in fact researched and planned a proposed connecting railway complete with undersea transit tunnel. The financing and completion of this potentially game-changing undertaking may well involve a merger of the best in public and private enterprise. But the benefits will be shared by consumers on both continents and worldwide. We at InterBering, LLC are strategically positioned to coordinate and to provide expert liaison, translation and listing services for American and other companies interested in helping us turn vision into reality. With offices in Anchorage, Alaska and experienced contacts in Russia - we stand ready to build the tunnel under the Bering Strait and also to assist to build the railroads from Canada to Alaska and further to Russia via Bering Strait tunnel. Our InterBering.com website provides opportunities for the exchange of information between investors, governmental, public and private organizations involved in the proposed construction of the Great Bering Way, as this rail link project is also known. 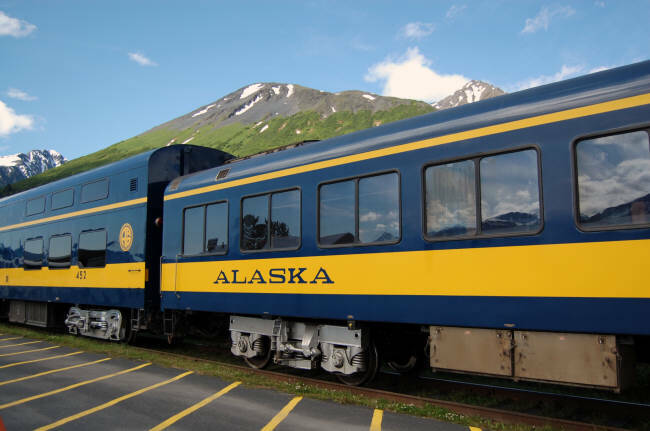 We plan to actively bring about an historic agreement between the Governors of the State of Alaska (USA) and Chukotka Atonomous Okrug (Russia) making this proposed rail tunnel a future reality. To contact the editorial staff of the website about investment opportunities with InterBering, LLC or to send documents, information files, materials for publication on the website or links to other resources - or to advertize on InterBering.com - please see our contacts page.